Book display racks need to be designed to suit the client requirement. With Donracks offering the best in line racking solutions, it also offers specially designed models that are offer a good racking solution while not taking a large bite off the pocket. Donracks also offers quality book rack display solutions that are in demand for their durability, stability, fine finish and weather resistance. Donracks offers different book racking solutions to suit the need, requirement and pocket of the client. It offers the choice of economical as well as requirement based racking systems that will fit into the floor plans of the client be it a library, corporate house, private book collection or a book store. Economy model racks are best for those who are working with a budget. The premium model racks are suitable for those who prefer to have the best style models with data strips that have a clean and stylish finish. The magazine racks can be used to store and display magazines, periodicals, newsletters, brochures, etc. Economy model book racks from Donracks are durable, reliable, sturdy and come with a fine finish. 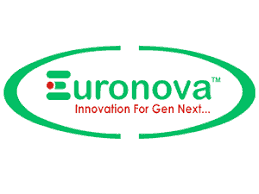 All the racks from Donracks are made from high grade raw materials that help in contributing to its high success rates of offering one of the best racking solutions that adheres to the divergent demands of clients across verticals. 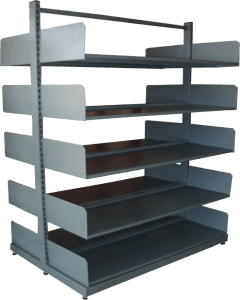 Apart from offering book racks, Donracks also offers other racking solutions that include; supermarket racks, fruit and vegetable racks, electronic racks, showcase racks, pharmacy racks, textile racks, shoe racks, accessory racks, etc. The standard economy model book racks from Donracks come in heights of 2100 mm, 1800 mm and 1500 mm; variable lengths of 1175 mm, 877 mm and 600 mm and in depths of 750 mm and 600 mm. The skeleton of the construction is sturdy, that enables to effectively balance and support. This helps to change the height of the individual racks if needed. Thereby though the dimensions are standardized, the independent racks can still be customized offering flexibility.